it’s national coffee day –– no. 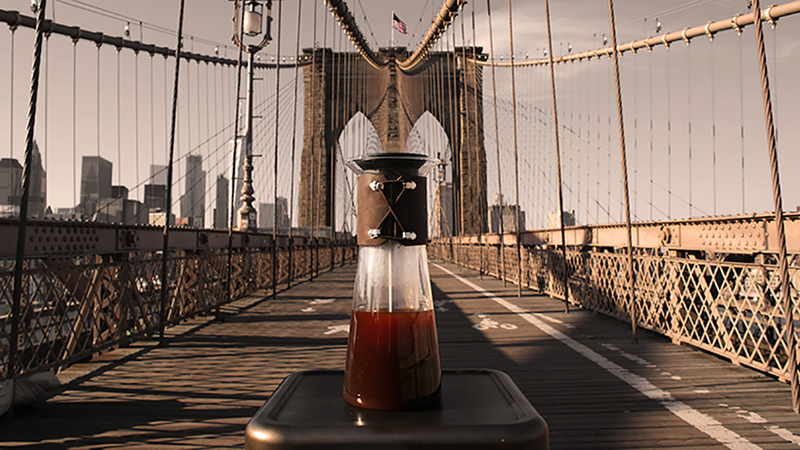 it’s national gourmet coffee day and the brooklyn-brewing-specialists/all-around-cool-dudes, ‘alpha dominche,’ just launched their first ever consumer product on kickstarter, THE FLASK, here. on any other day, regular coffee is fine, but today is january 18. today es gourmet. it really is a laboratory. eight or so machines — all identical — line the counter. hot-water boils inside them. 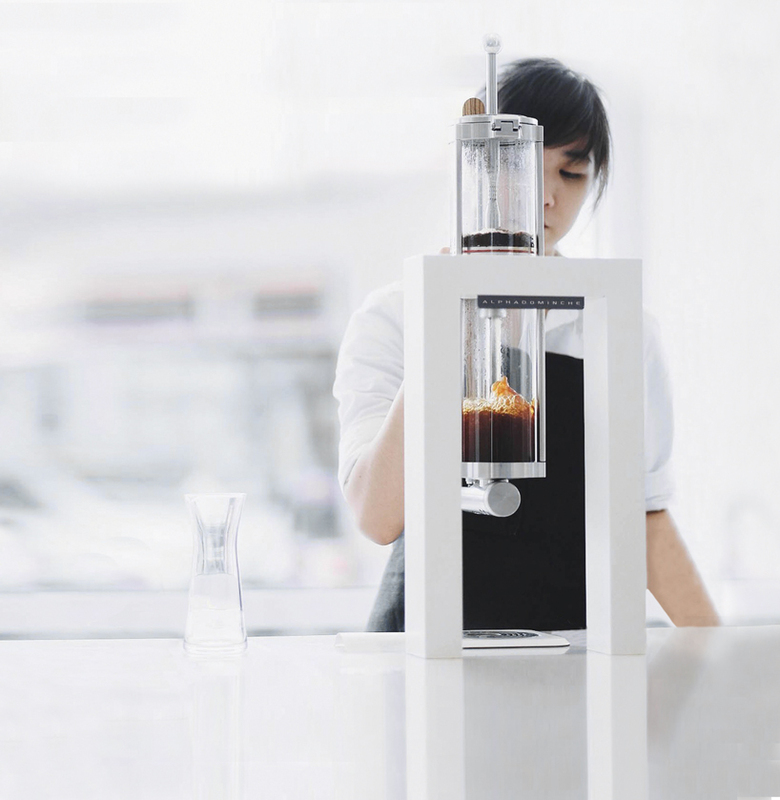 clean, minimal — world atlases of tea leaves and coffee beans line the tabletops. sliding ladders are perched against shelves. they don’t roast their own beans. they don’t pretentiously claim to have invented the next best, delicious thing. instead, refreshingly, they know who they are. 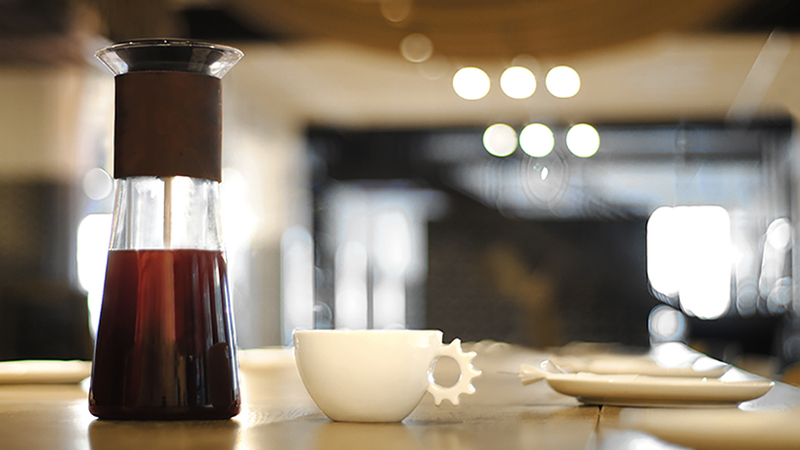 alpha dominche produces brewing equipment — beautiful brewing equipment — that extracts the best tastes and textures. 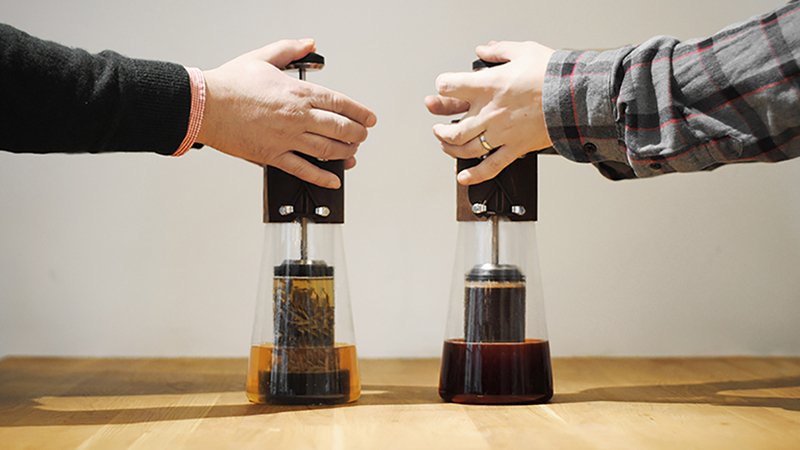 their newest offering, THE FLASK, is debatably more attractive than most french presses, but the key differences are not found in the aesthetics. the process takes only three steps, and the cleaning process is incredibly less messy than a typical french. another pain point remedied: it doesn’t over-extract. 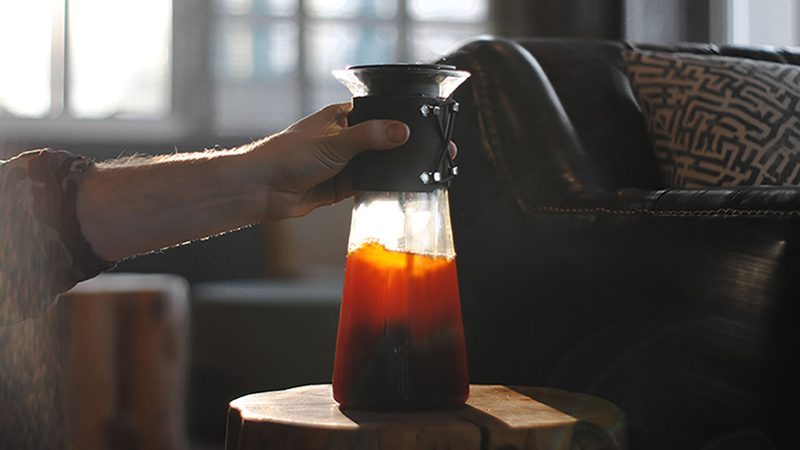 a valve system makes sure the gourmet of choice stops brewing the moment the device is pushed down. 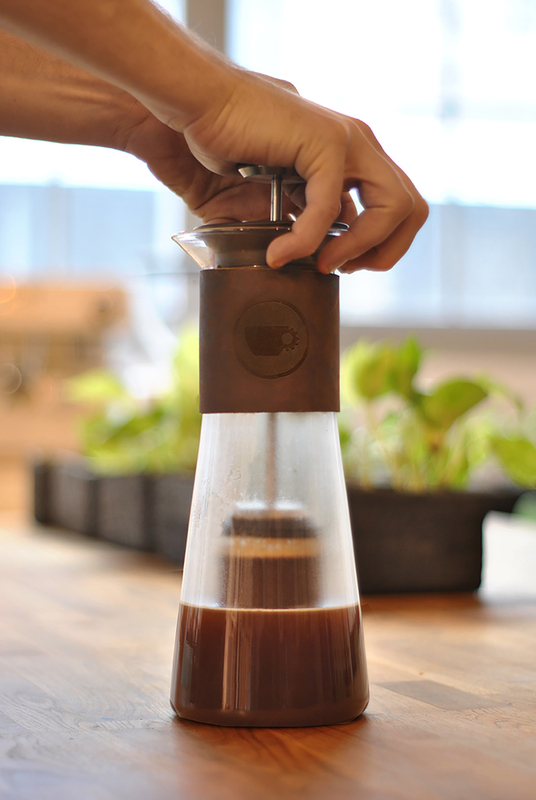 it’s similar to a french press, but better in subtle ways. THE FLASK is only the company’s second product to date, but quality over quantity definitely rings true, here. they are brewers. confidentially, that’s all they want to be. 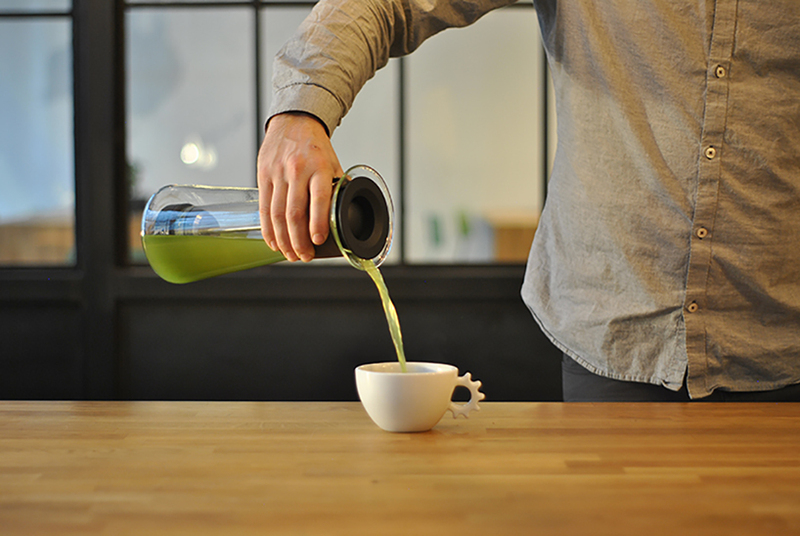 inside the extraction lab is a sense of contentment, rarely found in new york city — much less in caffeine enthusiasts. for good reason; alpha dominche’s products have been great successes. 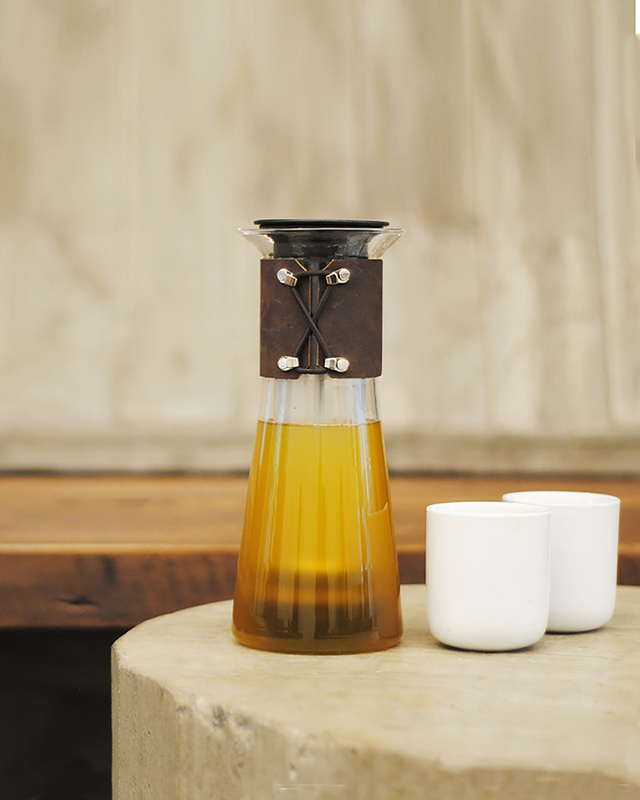 the commercial STEAMPUNK has seen great reviews, and their brand new, consumer home-brewer, THE FLASK (launched january 18th) is already fully funded. the intention behind the place is deeply imaginative. their products are few, but they are oh, so refined. 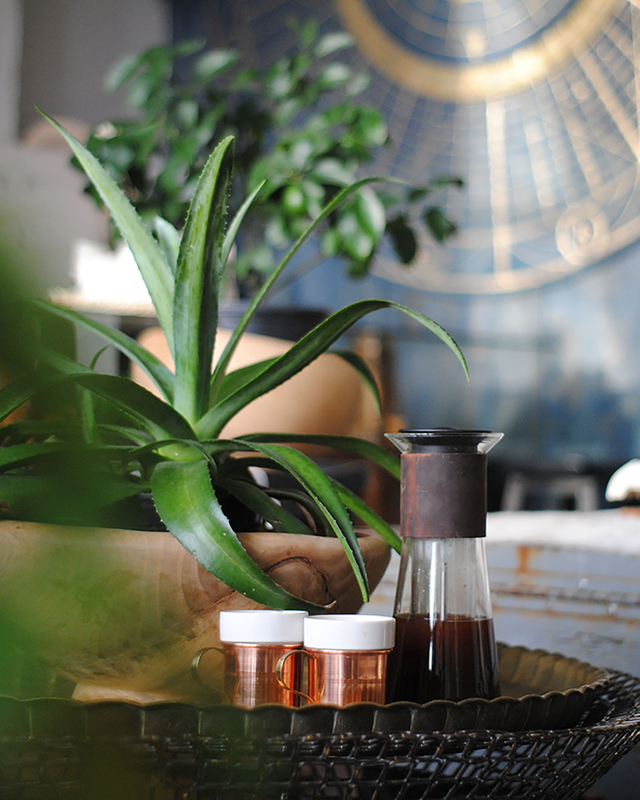 (written while sipping on STEAMPUNK-brewed coffee).